We parked our car in the parking lot, which turns out to be the 2nd largest parking lot in the world. From there we had to get in a tram, which then took us to the monorail, which then took us to the Magic Kingdom park gate. At the gate we had to go through the mandatory security check of our our bags before we were able to enter the park. Despite having planned to be there 30 minutes early, we arrived at the gates at 9:05 – a full 10 minutes late for the opening show. If you want to see the opening show, we’d recommend getting to the parking lot by 8:15 at the latest. Getting to the park early really pays off. Despite the initial rush to get in, the lines for the rides are pretty short in the first hour or so. 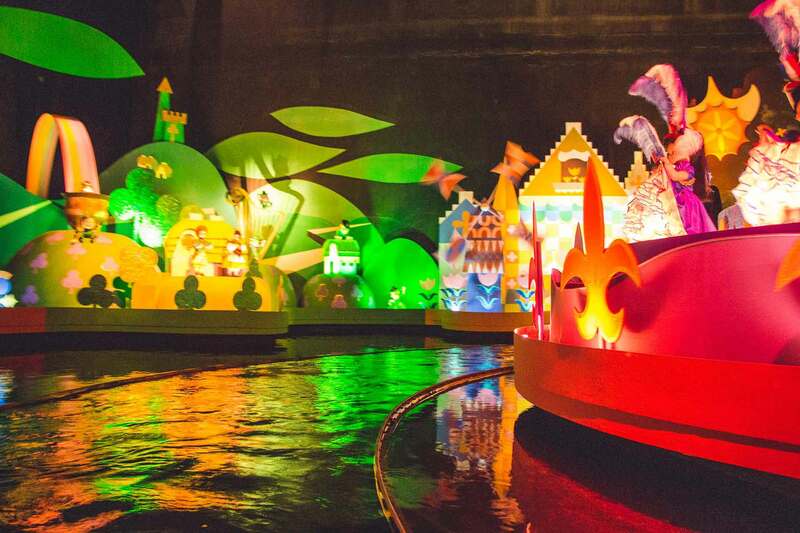 On our first day we waltzed right on to It’s a Small World and then the Prince Charming Regal Carrousel with only a minute or two wait time and not using any of our Magic Kingdom Fastpass selections. On the second day we repeated the drill by getting onto Pirates of the Caribbean and The Magic Carpets of Aladdin with no lines at all. 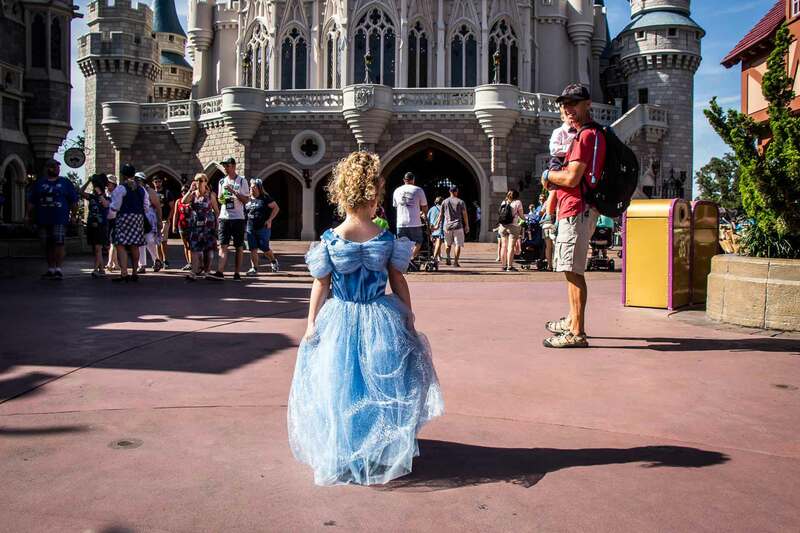 Read this post for Disney Fastpass Secrets! There are no selfie sticks allowed in the park. We don’t often use one, but we had one in our day bag for our Go Pro. If you forget and get caught (like we did), you can check it at one of the ticket windows and pick it up on the way out. Our Little Mermaid room at the Disney Art of Animation hotel didn’t have a coffee maker. Ugh… doesn’t Disney know that all parents of Disney-crazy kids need coffee in the morning?!? We managed to get our coffee fix shortly after entering the park at the Starbucks on Main Street USA. It’s on the right hand side about halfway down the street. On the flip side, we got a $30 Disney gift card in exchange for giving up daily housekeeping in our Disney Resort hotel room. We could still call housekeeping for anything we needed (fresh towels, etc). We’re not that fussy about things like made beds, etc. so we happily took them up on the deal! It gets really hot in the park in the middle of the day, so it’s super important to make sure everyone stays hydrated. 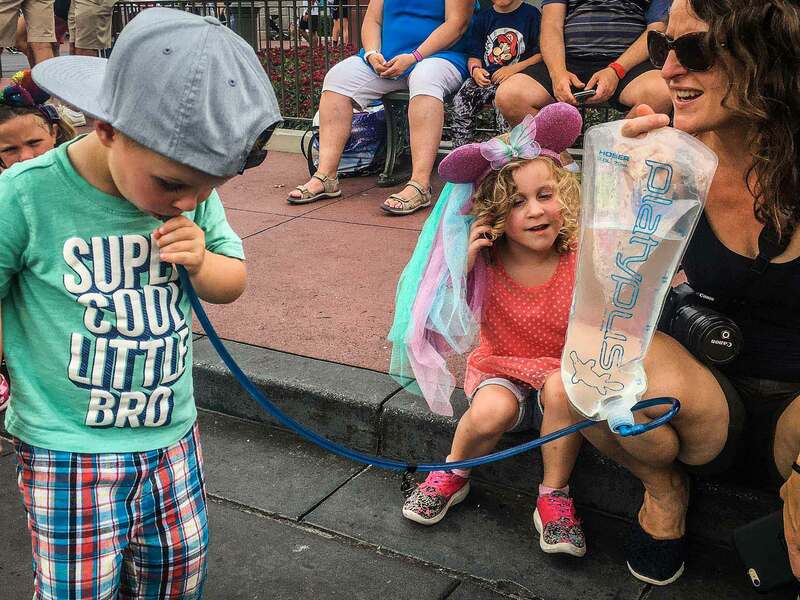 Disney recommends everyone drink 4-6oz of water every 15-20 minutes. We brought a 100oz (2L) hydration pack water bladder to make sure we always had abundant water at all times. It turns out there lots of water fountains everywhere, but the hydration bladder allowed us to get the kids to drink lots of water during our down times, such as waiting in line for rides, etc. 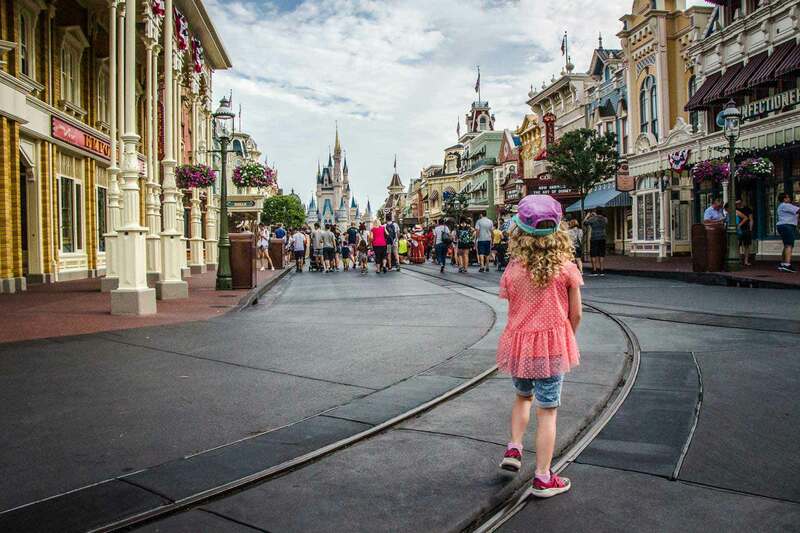 For other tips on how to beat the heat, check out our post on what to bring to Disney. Even the kiddy rides can be scary. I was a little surprised that the main feature of the Winnie the Pooh ride was a trip through a scary dream. It legitimately scared both of our kids. 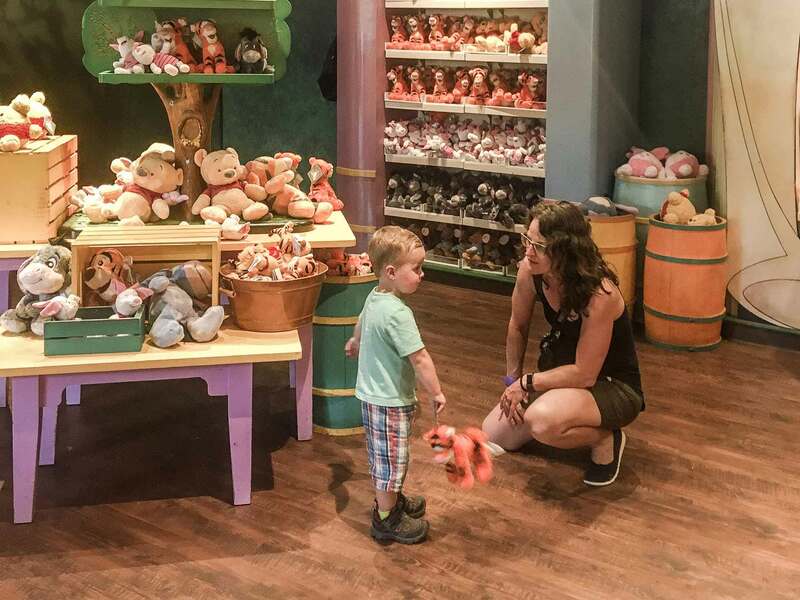 They are pretty resilient when it comes to being scared, but if you have a sensitive child, do some research on the rides you hope to go on – they may not be as kid-friendly as you think. 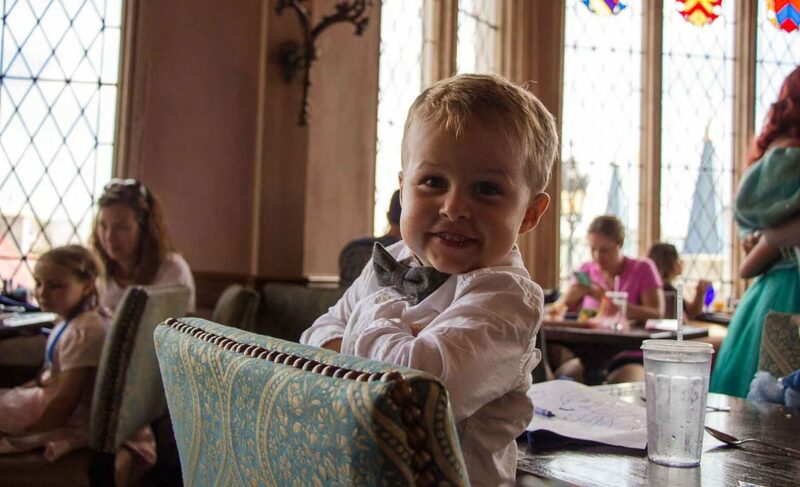 We didn’t show the kids much about Walt Disney World before the trip as we wanted the whole experience to be a big surprise. In hindsight, I wish we had shown them what they were in for as I felt they were a little too overwhelmed by it all. Perhaps I’m wrong, but had we prepared them ahead of time, they may have gotten comfortable with the experience a little earlier than they did. This is subjective of course, but I was surprised at how reasonable the gift shop prices were. I mean, of course, things weren’t cheap, but I expected them to be really expensive within the park, but I found them to be quite reasonable considering. Disney has a very good webpage on theme park safety. It has useful tips for parents and fun, printable coloring sheets & educational games for the kids. There is also a series of inexpensive award-winning Timon & Pumba safety videos to download through iTunes, such as this one about travel safety. 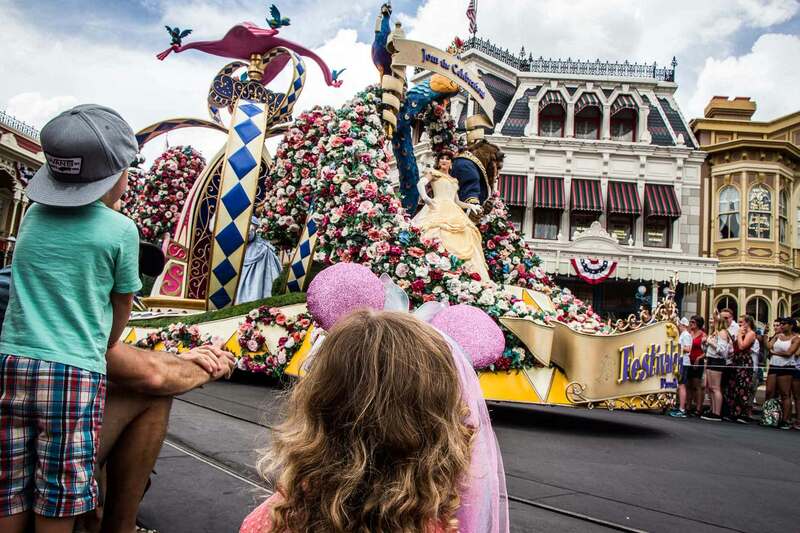 Disney offers premium seating for the afternoon parade. 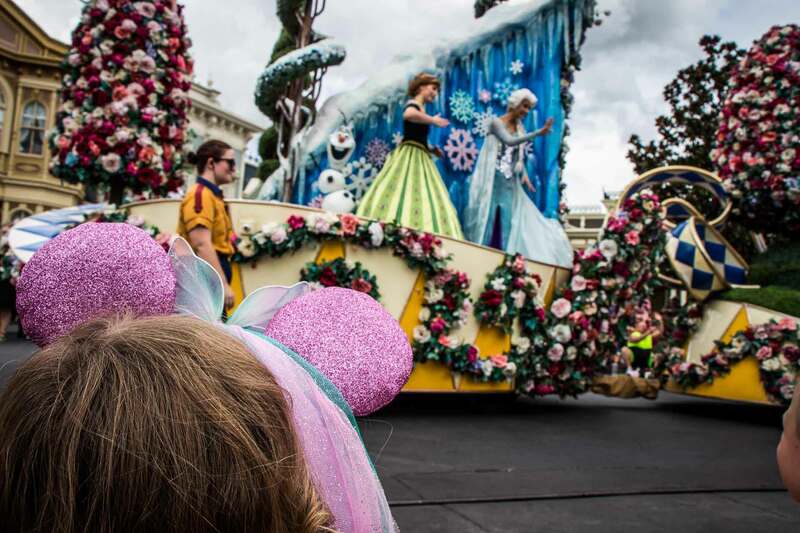 All you need to do is make a reservation for Disney Festival of Fantasy Parade Dining Package. 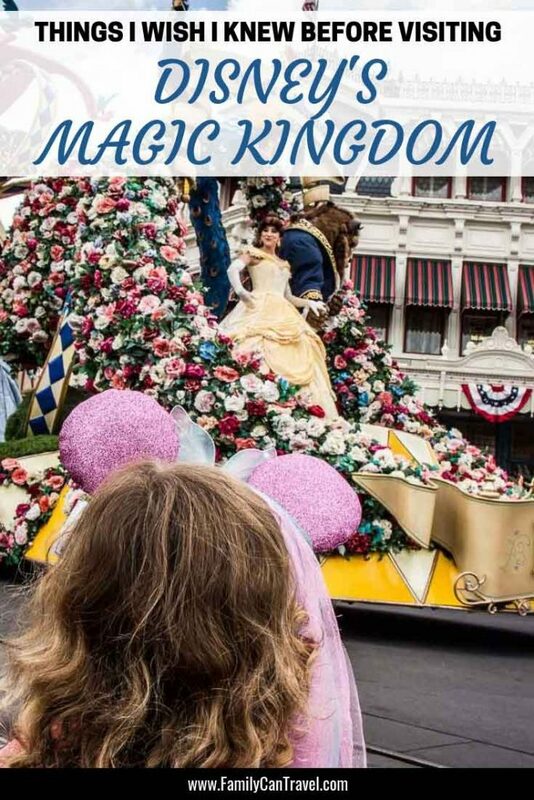 Included in the package is a VIP parade ticket plus a three course meal with a drink and dessert at Tony’s Town Square Restaurant. Given the menu prices of the items we ordered, we essentially got the VIP tickets for free. The VIP seats are under the flagpole on Main Street USA. We had AMAZING seats – front row with no one blocking our view!! There are enough viewing spots in the VIP area that you don’t need to get there super early, thus giving you more time to enjoy the rest of the park. This is great deal! When you stay at a Disney resort you can make FastPass+ picks 60 days in advance (vs 30 days in advance for everyone else). We made our picks exactly 60 days out and got all of our choices at the precise times we wanted them. Another great perk of staying at a Disney hotel is you can make your dining reservations 180 days before the first day of your trip (vs 180 days before your dining date for everyone else). This small nuance enables you to book a few days ahead of the general public. 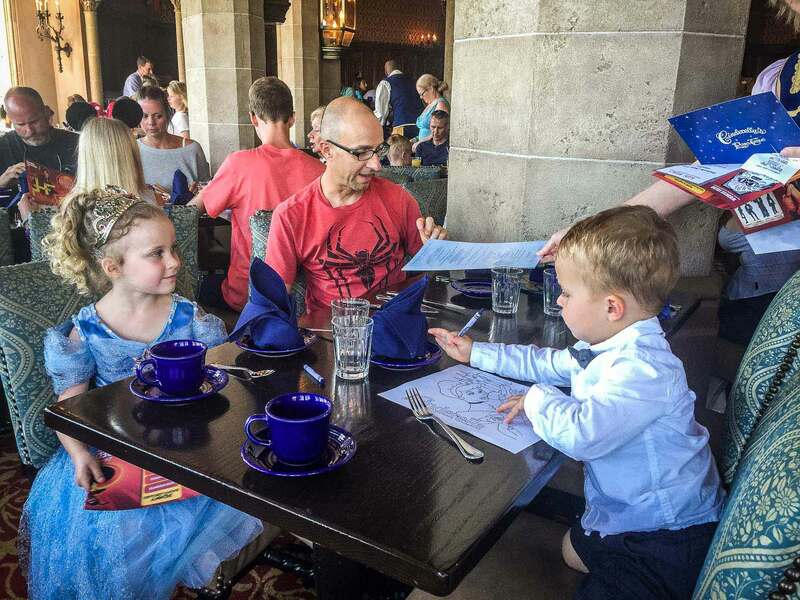 We used this trick to book the precise time we wanted for Cinderella’s Royal Table, the hardest reservation to get at Disney, exactly 183 days ahead of time. We hope these tips help make your family trip a memorable one! If you have any tips to share, please do so below. We only write about destinations we have personally visited with our family. We are grateful to Walt Disney for their generosity during our visit to the Magic Kingdom. All opinions are our own. This post contains compensated links.